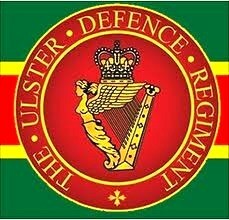 An off duty member of the Ulster Defence Regiment (UDR) was shot dead by members of the Irish Republican Army (IRA) in County Tyrone. 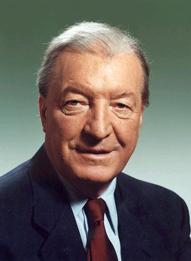 Charles Haughey replaced Jack Lynch as Taoiseach (Irish Prime Minister). The Fiannia Fáil parliamentary party voted by 44 votes to 38 in favour of Haughey. The Irish Supreme Court made a ruling which opened up the possibility of extradition between the Republic and the United Kingdom (UK). The court rejected the claim that paramilitary offences were politically motivated. Two Royal Ulster Constabulary (RUC) officers were shot dead during an attack by the Irish Republican Army (IRA) on the RUC base at Ballygawley, County Tyrone. The European Commission agreed the funding of a £230 million aid programme for Northern Ireland and also border counties in the Republic of Ireland. The funding was to be spread over the following three years. “has sought only to frustrate movement into inclusive negotiations … there is no question of the IRA meeting the ludicrous demand for a surrender of IRA weapons”. 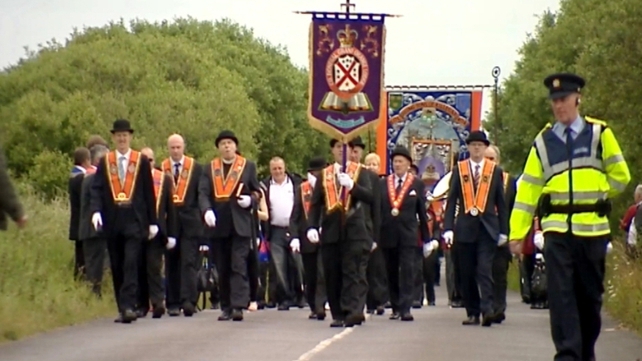 At Dunloy, County Antrim, a ‘suspect device’ was found near the Orange Order Hall on the outskirts of the village. The device was made safe. Members of the Apprentice Boys of Derry (ABD) held a religious service at the Orange Hall but did not attempt to march through the village. Mary McAleese, then President of the Republic of Ireland, broke new ecumenical ground when she took communion at a Church of Ireland service in Christ Church, Dublin. There were reports that members of the “real” Irish Republican Army (rIRA), which was on ceasefire, were offering assistance to the Continuity Irish Republican Army (CIRA) the only Republican paramilitary group not on ceasefire. There was a series of walk-outs by pupils at state (Protestant) schools in protest at the appointment of Martin McGuinness as Minister of Education. Protests were held in Carrickergus, Cookstown, Glengormley, Newtownabbey, and the Shankill Road in Belfast. McGuinness claimed that the Democratic Unionist Party (DUP) was orchestrating the protests. The DUP denied the claim. Gary McMichael, then leader of the Ulster Democratic Party (UDP), denied that there was a split within the Ulster Defence Association (UDA) over whether or not appoint an interlocutor to the Independent International Commission on Decommissioning (IICD). There were two pipe-bomb attacks on the homes of Catholic families in Coleraine, County Derry. As a result of these attacks, and earlier ones, the Royal Ulster Constabulary (RUC) requested the deployment of British Army (BA) patrols in the town. A 30 year old man was alone in the kitchen of his home on Lilic Avenue when a pipe-bomb exploded in the back garden after bouncing off the kitchen window. The attacks were carried out by Loyalist paramilitaries. John Hume, former leader of the Social Democratic and Labour Party (SDLP), was awarded the Mahatma Ghandi Peace Prize by the India government. Off duty. Shot at his home, Curlagh, near Caledon, County Tyrone. Found shot in back of abandoned car, off Donegall Avenue, Village, Belfast. Internal Ulster Defence Association dispute. Abducted from her home, St. Judes Walk, Divis, Belfast. Her remains eventually recovered, on general instructions from the IRA, buried at Shelling Hill beach, near Carlingford, Co. Louth, on 27 August 2003. Died five days after being injured in premature bomb explosion in house, Crawford Square, Derry. Died in premature bomb explosion in derelict house, Bridge Street, Derry. Shot during gun attack on Ballygawley Royal Ulster Constabulary (RUC) base, County Tyrone. Shot at his home, Hillview Avenue, Ballyhackamore, Belfast.